SEOUL, Oct. 26 (Yonhap) — SsangYong Motor Co., the South Korean unit of Indian carmaker Mahindra & Mahindra Ltd., said Friday its third-quarter net losses widened compared to a year earlier on weak exports. Net losses for the July-September quarter deepened to 18.23 billion won (US$160 million) from 17.69 billion won the previous year, the company said in a statement. “Increased marketing costs and unfriendly exchange rates (affecting the won’s strength against the dollar) cut into the bottom line,” the statement said. The dollar rose to 1,121.59 won in the third quarter from 1,132.24 a year earlier. A weak won drives down the value of dollar-denominated income when converted into the local currency. 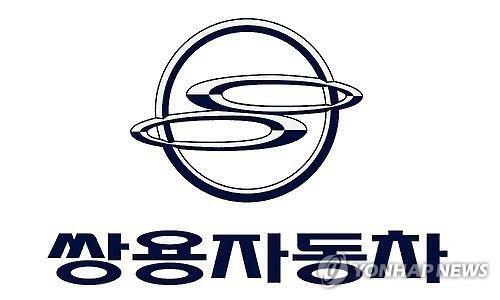 Operating losses also increased to 21.95 billion won in the third quarter from 17.42 billion won a year earlier. Sales were nearly unchanged at 901.49 billion won compared to 900.67 billion won during the same period last year, it said. From January through September, the maker of the flagship G4 Rexton and Rexton Sports sport utility vehicles reported a rise in net losses to 57.85 billion won from 35.58 billion won in the previous year. Mahindra & Mahindra owns a 72.85 percent stake in SsangYong Motor.